Firestone has a tremendous inventory of existing and planned parks, trails and open space. In the Firestone Master Plan, parks and trials have been identified for the Town's entire potential urban growth boundary. The Firestone parks and trails system map provides specific information on existing Firestone parks and trails and along facilities that are planned in the foreseeable future. View a complete list of parks, with detailed amenities here. Firestone's vast park system offers a number of shelters that are available on a first come, first served - reservations are not required. Reservation of Firestone park fields are handled through the Town's Public Works department, Event and Programming Coordinator. Open daily from one hour prior to sunrise until one hour after sunset. No fires. Only gas BBQ stoves are permitted. For a complete list of parks and recreation facilities rules, see chapter 12.32 of the Firestone Municipal Code. Park restrooms are open from late spring through early fall. 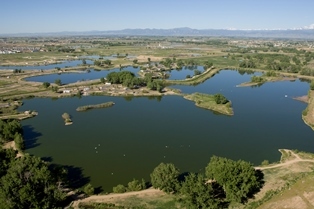 St. Vrain State Park is a family-friendly destination for v isitors seeking a peaceful and simple outdoor break. It is the only state park in Colorado to annex into a municipality.